One of the perks of Sally getting older is that Johnny and I actually sleep through the night uninterrupted these days — usually. There was a time when I couldn’t remember what that felt like, and I was convinced I’d never again know. But as many wise mommy sages have told me, “It’s just a stage.” And it’s true, and those sleepless nights are but a distant memory. So now that Johnny and I are actually getting sleep, we wanted to focus more on improving our sleep, which meant looking into new mattresses. We’d budgeted in the cost of a new mattress for our expenses this year, but we recently had the opportunity to try out the Ten mattress by Tuft & Needle. When it comes to splurge-worthy products, Johnny and I are more open to splurging on an item that we use every single day. Especially when, on a good night, we’re spending six or seven hours on it. But what’s even more ideal is when a product is both made in the USA and a great deal. And that’s exactly what the Tuft & Needle mattress is. The prices of their mattresses are very reasonable because they cut out the middleman. The Ten has a 4.5 star review on Amazon, and it’s no secret how Johnny and I feel about Amazon reviews. For every 100 mattresses sold, they give away 1 mattress to a foster child in need of a bed. They offer a 100-night trial (!). If you aren’t satisfied, they’ll arrange for the mattress to be returned for free, no questions asked. Their customer service is on a Zappos-like level. They send personal emails during the whole order process. And after you receive your mattress, they genuinely want to know how you like it. A+ on looking out for the consumer! We’ve really loved the mattress, and as you can see, so has Sally. It’s provided for a great night’s sleep! We’re excited for another American-made product we can get behind! *Heads Up/Disclosure: Tuft & Needle was kind enough to provide the mattress, but we weren’t compensated to do this post. All opinions came straight from our own noggins, not some robot’s. 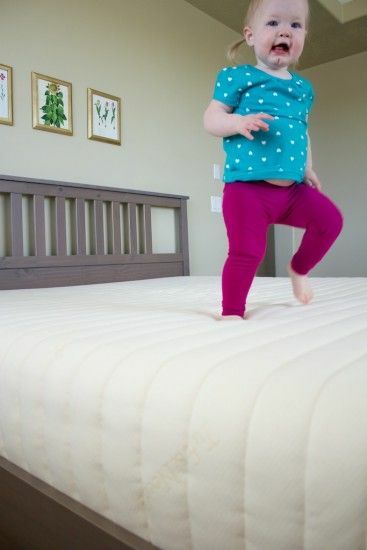 Toddler Bed vs Twin Bed + Tuft & Needle Mattress Giveaway! Use link above to save $50 on a Tuft & Needle Mattress with free shipping and returns. 30 day guarantee. No questions asked. Been on mine for about two months. I bought the 10″ thick version. Love It! Thanks! I ordered. Really looking forward to a nice sleep. Here is my link for $50 coupon off your purchase!! Can’t wait to get my bed! Thanks for the coupon Josephine! Really excited for a new bed! Paying mine forward as well. Thanks for all the info and the coupon! Here is my code for the next do-gooder…. David: Thanks for using my code. I received my credit! Full disclosure: I know there are other codes to use, but if some of the other links are not valid, I still have several $50 coupons available so I am posting one more time…….still getting great sleep on this mattress! E.A. Smith: No problem. Thanks for posting it! Tim: Thanks for using my link! Thanks for the code Beth! Here is my code. I hope someone can use it. Used someone else’s coupon. Pay it forward. This is Awesome! Take advantage of this! So easy! Love my 10″ Queen – passing it on…. Save yourself $50! We love our Tuft & Needle. Best purchase ever! Thanks for the code Briana! Here’s my code, paying it forward! Here’s code if other’s don’t work! Here’s my $50 off coupon code guys. I ordered two mattresses and they offered to separate the order into two and applied the discount to each order. Sweet! Their customer service is really good. Just ordered a twin for our toddler that is transitioning out of the family king bed. YAY! We love the T&N mattresses! Definitely highly recommend it. Nice and firm, but so comfy. I used someones coupon from this thread to get $50 off of my order. Here is a our code for you. Win/win. And we did it again! A second twin 5″ for our second toddler! T&N are such great mattresses at fair price and good company ethics. Made in USA! Now we own 3 of them! Here is a fresh code to get $50 off your order. Sweet dreams! Here’s a fresh code for everyone! A week of great sleep. Thank you T&N. Here is one more code. Pay it forward! Here is a new $50 coupon with free shipping. Enjoy!!! Thanks for the code. Passing it forward. Another nice thing about Tuft and Needle is you can choose your shipping date easily. They will tell you when to expect it and you have the option to choose another date (after the one first expected). Here’s another code, for anyone that needs it! #Will, I used your coupon. Thanks! Here’s mine if anyone would like to save $50. Arrived two days ago. So soft! So pillowy! Like a cloud! Use my code! We just ordered our fourth (!) T&N mattress! Yes, that is how much we love and can vouch for them: Overall a smooth ordering process (we used someones code to get a $50 discount every time), quick delivery, great customer service, sweet company ethics and just a great great product. We are convinced and loyal customers. Here is a fresh code for you that saves you $50 when placing your order. This came in handy. Here’s my code for $50 off! Mattress arrived a few days ago, I agree, so soft! So pillow! So sleep! Here’s a new $50 off code – still valid as of August 19, 2014! Just completed three nights of fab sleep on this awesome mattress. Here’s a link to my coupon. Here’s my coupon for anyone that wants to save $50. Just used your code, Joel! Would appreciate it if someone could pay it forward and use mine for their purchase ;). Just ordered a 10″ mattress for me. I’m hoping my ninety-year-old Mother will like it so I can order one for her, too. She really deserves a good nights sleep! This bed is great. Its firm yet supportive. Also I live in house that was built in the 1800’s so the hallways are super narrow, getting a frim matress was the only way I could get a queen sixe bed in my room. Could not be happier! Here a code for 50 bucks off! I am so excited about getting this mattress! My fiance’s friend has one and does nothing but sing its praises. Ours should be on the way shortly!! Save $50 on any size Tuft & Needle mattress by using this link! Hey guys, I just ordered. Here’s my $50 coupon if you’d like to save some money and save me money too! It is a great mattress! Here is a fresh coupon code for $50 off your purchase! Paying it forward: I’m so happy I’ve gotten this mattresses! Got a 10 inch full as well! Share the love! Here’s a coupon for $50 off your tuft and needle mattress. Here is a referral code for $50 off! This coupon code that still work…get 50.00$ off now! Here is another $50 discount code. Hope this helps. Wow! That’s a great deal! On a scale of 1-10, how much comfort do you find in it? My wife and I are looking to purchase one for our pastor and his wife. Honestly it is great. It’s firm but forgiving. I used to always buy really soft mattresses. I risked it since it came with the 30 day policy and couldn’t be happier. If I didn’t like it they just ask that you get in touch with a local charity for donation and get a receipt and they will refund your purchase price. How cool is that? Very Very Happy. I might just have to give it a try for myself! Thanks! I put my order in yesterday–excited for it to come in! Emma, I shared the love for you. You should see your $50 soon. If we could keep this chain going, that would be amazing! Here is another $50 off discount code for anyone interested! I’m on night 4 with the 5″ queen size. I sleep like a baby. It’s just firm enough and I find it very comfortable. Living in a New York apartment, it’s the perfect solution: delivery by FedEx in a lightweight, manageable package… unroll it, let it expand, sheets on and you’re done. So, no: you don’t need the $ertaMon$ter for a good night’s sleep. Thanks for the code, here is mine as well for $50 off your order. Thanks for the review and to those above for discount codes! Thank you Sarah for the link, just bought one. Hoping someone will return the favor! Thanks! Another $50 link to pass on. Paying it forward with a $50 discount link below. Here you go. Another $50 coupon code. Thanks. To be fair, I would suggest not purchasing from someone who has put their link on here multiple times. For example, looks like Allen, Christine, and J are all the same person. Same with John and Dan . And Brittany and Scott. C’mon guys, that’s not nice. Just ordered mine! Thanks for sharing the link. Here’s mine. Thanks for the info, I’m going to give this bed a whirl. I used the promo code of the person above me (Sherrie), so hopefully I’ll get some good Samaritan love too! Here’s my link! Hopefully someone uses it! Great write up. I truly enjoy my Tuft & Needle. And theiur customer service is awesome! I just bought mine! Thanks for the codes guy. Heres my code incase others are expired! Been a very happy owner of the 10″ mattress for the last (almost) 3 weeks. Best sleep in a long time! here’s yet another as I used one of the ones above – thanks internet! I just went through the checkout process for my new bed on the TuftandNeedle.com website. It couldn’t have been easier. Thanks to another reviewer I saved $50 on my bed. I want to pay it forward so use this link so you save $50 too! I got the Queen 10 mattress and am thrilled I did! The bed itself is incredibly comfortable and the company/communications/everything was seamless and totally rocked! Wow. I love this concept and look forward to my new, highly rated mattress. I purchased on the TuftandNeedle.com website. and, thanks to another reviewer, I saved $50 on my bed. Use this link so you save $50 too! Bought from the promo code of someone above me! Looking forward to this mattress and hope I get some referral love! Thank you! Thanks so much Rachel for saving me $50! My wallet appreciates it and here’s hopnig my back will too when the mattress arrives. Thanks for the review! I just ordered the 10″ mattress. Thanks for the review! I just ordered a 10 Queen. Interested to see how this stacks up against the Casper. Here’s another $50 off code! Thanks for the review and $50 code! And another! Should still work (a bunch I tried were already expired). Just bought the mattress with from great reviews. Most of previous discounts expired. use mine and get $50 off now! us!. I looked up a latex bliss matress in King… $7499!! be a big saggy hammock shaped tub of a mattress. Just bought the T&N 10. Here’s a $50 off code for the next guy! Thanks for using my referral Richard E.! Anyone else interested, feel free. I can’t wait to try out my new mattress– fingers crossed I love it as much as all of you since I’ll be moving it overseas and won’t have a chance to try it before it gets to Haiti! Can’t wait for my mattress to come in! This is fantastic I’m hoping some of my friends jump on the T&N train too! Can’t wait to get my new mattress! Sleeping on a twin bed is not cute when you’re 28. Here’s another link for $50 off if anyone needs it. Just ordered a 10″ Queen and can’t wait to try it out. Thanks for the great review – was a little wary of ordering sight unseen, but you have me convinced and hopeful that it works out for me! One month in with my 10″ T&N mattress and couldn’t be happier! Solid night’s sleep with no lower back pain. Bliss!! Yup, this mattress is fantastic! I have a 10″ Queen. Feel free to use my coupon for $50 off any mattress. Free shipping + 30 day return for any reason……enjoy! Just bought a 10! here’s a referral code if you want it. yet another code if these run out! sleep well friends! Thanks for the great product review. Can’t wait for my new 10″ mattress to arrive! Honestly, between being made in America and the 30 risk-free trial this was about the easiest decision I have ever made. Customer service was great at clearing up delivery dates and all that jazz! The customer service was excellent in answering questions about delivery and all that jazz! Thanks in advance for those who use it! Mine arrives this Friday…I can’t wait! I’ll post back with my experience. Here’s my referral.. You’ll get an immediate $50 off — no strings, no gimmicks — so there’s nothing to lose! Been sleeping on mine for a couple weeks now and we love it! Here’s a $50 off your purchase with free shipping code! Please click on the link. Paying it forward as well! I order my mattress today. Here is yet another link to a code that will get you $50 off and also send some cash my way. Thanks much. Many of the coupons are run through. As of today… mine is still good to use. I used one above, so let’s pay it forward: Here is my $50 off coupon. THESE ARE WONDERFUL MATTRESSES. Gosh, I never knew that one could sleep so comfortably. pay it foward like everyone else! Can’t wait to get mine! prego wife needs a good night sleep! thanks for the code. N&S. Our pleasure, Eddie. Hope you and your wife enjoy the mattress, and good luck with the upcoming arrival of the baby. It’s truly a great mattress:- I always thought my soreness was from sleep deprivation. Little did I know that the mattress also played a role in it, since now I’m just as sleep deprived, but way less sore! What a great deal, here is my $50 code + free shipping – no strings! We bought this mattress for our daughter and decided to purchase one for ourselves after sleeping on her mattress one night. Thank you Eddie and all the others paying it forward. Here’s my link. Enjoy! Looking forward to a good nights sleep for my daughter! Here’s a good link for $50 off. Love it! So far so good! Enjoy $50 off your Tufts Mattress! What an awesome mattress! Haven’t slept so comfortably before. Enjoy $50 and free shipping in case you scroll down this far. Mine arrived today — ordered July 16 and delivered July 25. This thing is cool. The box was a little tough to move around (mine’s a 10 inch queen size) so using a dolly or calling a friend would make sense. You just open one end of the box and out comes what looks like a giant white cannoli. Once you start the edge of the outer plastic you can just unroll it without cutting — the adhesive lets go with firm pulling. You’re left with a flat-ish vacuum bag that starts sucking in air and inflating almost immediately. I left the room for 30 seconds to grab scissors to slit the bag and when I came back it was nearly done. I waited a half hour to try it out and let’s just say I can’t wait to go to bed. Oh and here’s my code if you want to use it! So far three nights on the mattress and I love it. Firm. Cool. Awesome. Thanks Tuft & Needle! Thanks for the code! Tried to pick a very recently posted one, and yours won because I really appreciated the extra info you shared about what to expect as far as how it’s delivered, unpacked, etc. This is THE mattress to get. Do NOT be fooled by the price, it is what it is for a reason. You can not go wrong. Read the reviews!!! Thank you Tuff & Needle for a good nights sleep! Just ordered our Tuft & Needle mattress (a 10 Queen), and can’t wait for it to come in! Here’s another $50 off discount code for whoever needs it! I’m looking forward to our new mattress. Here’s a $50 discount referral code if anyone needs it. I love my Tuft & Needle! New $50 off code!! Just ordered my second T&N mattress – Ten King. Can’t wait for it to arrive so I can finally get the family off of an air bed and sleep in a real one! Here’s a $50 off code – pay it forward! My first T&N mattress was a Ten Full – very well suited to my sleep needs – medium firm without being hard. As good as, or better than any previous mattress I had, and definitely a MUCH better value, and the feeling you got it direct, without the confusing marketing and channel terms to sort through is terrific feeling as well. It was so compelling I am ordering my second one just weeks later. I hope T&N finds their niche and does well! We love our mattress. It is very comfortable and well made. It also can fold somewhat easily and be stored. The company has fantastic customer service. Here is a coupon for $50 off your order (and free shipping)…hopefully someone can benefit from it! Use it in good health! Great offer! $50 off plus free shipping! I’m a classical musician so I could use all the help I could get paying for my new mattress. Happy to save some other people some money! I’ve heard great things about these mattresses, I’m so excited to use mine!! Paying it forward. Enjoy comfortable nights! The Tuft & Needle crew have been so helpful in getting our new mattress – it’s due to arrive less than a week after we ordered it, and we can’t wait! Here’s another code if anyone needs the $50 off towards their purchase! 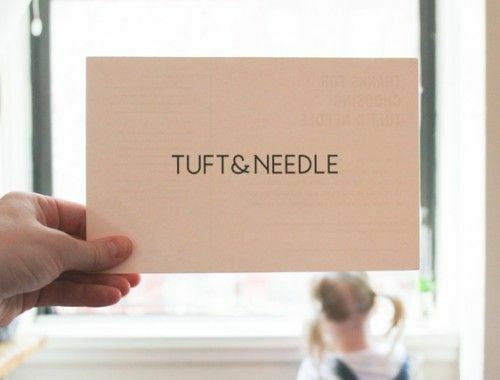 As soon as you order your mattress, the crew at Tuft & Needle is right there to make sure you have a good experience. I don’t believe I’ve ever seen that with another company. I’ve been telling all of my friends and family about this company. Quick, FREE shipping and a wonderful mattress….it doesn’t get much better than that. I hope someone can use my code for $50 off and experience the same. Help a gal out and get $50 off your mattress in the process! If you happen to use this referral, please let me know by contacting me at vkolli at gmail dot com, so that I can share some of my referral with you. It will add $10 to the $50 discount you are already getting. This mattress is freaking awesome! I love my 10″ queen. Best purchase ever. Here’s my link for your $50 off with free shipping! Wow! Great review guys, and thanks so much for the info. I bought mine today, and used someone’s coupon. Paying it forward! Ordered mine today! $50 off!! Woot!! Figured I’d pay it forward! Say no to overpriced mattress stores. Used someone else’s referral above, so I’m here to pass the savings along. Looking forward to this mattress! Used someone’s referral to buy my mattress tonight and here’s mine for $50 off-I love we get to pass it on and I’m grateful to whomever uses mine. Thanks! Paying it forward! Here’s my code. Thanks, guys! Awesome mattress! I have the 10″ Queen. Love it…. Paying it forward! Here’s a link for $50 off. Thanks! $50 off any mattress + free shipping! Love the mattress that I bought from tuft &, needle! Please use the link below for discount! Here is my $50 coupon code + free shipping + no questions asked return policy! posted again for the next guy! Paying it forward! Thanks, all : ) So excited for my mattress to arrive. Here is another $50 off any mattress with free shipping! Love this mattress! Its Made in the USA!!!! here is the like to save $50 + free shipping!! the $50 dollars off will show up in your cart when you go to check out. Here is $50 off any mattress purchased with free shipping! If someone needs a code. $50 off. Saving up for one for my kid. Well, thank you sir! I just used your $50 coupon. Here’s mine for the next kind person to get $50 off + free shipping – and a virtual high five from me! Mine arrives today!! So excited! Just ordered mine! Nervous about how much money I just spent but hopefully it’s all worth it! Here’s a code for $50 off! My previous mattress was a firm mattress, and I was a bit worried if Tuft and Needle mattress would be firm enough. It turns out that it is firm enough for me and I’m quite happy that I chose Tuft and Needle. When I sleep on side, I don’t feel any springs on mattress!!!! It’s just smooth and comfortable. Here is my referral link for $50 off! Thanks! I love my tuft and needle Ten. Use my link for $50 off. Thanks for the suggestion Joanna and Johnny. I am starting to realize the freedom of life that comes from wise financial decisions. Thanks for all of your insight! My 10″ Queen Tuft & Needle mattress is here!! Thank you for the $50 off code, I’m looking forward to getting my 10″ Queen! Here is my link for $50 off + free shipping + no questions return policy…..enjoy! Here is a working link for a $50 coupon off your purchase! Just got a 10″ queen. Thanks Kory, paying it forward, please use my link. Save $50! Enjoy your new bed! Best company ever! One 10″ queen ordered! Excited to see if it’s as good as everyone says! Here is my coupon for $50 off + free shipping…..passing it on! We ordered a 10″ Cal. King. Great prices! Ok! My order for a twin xl (dorm room bed) mattress has been placed. Customer Service is so easy to work with. They are holding off on shipping and scheduling delivery so it arrives 1 day prior to my son. I will be a tad sad to send him off, but anxious to hear his report on his mattress. Thx for the code sharing and reviews. I LOVE my Tuft & Needle! NO WAY this baby is going anywhere in the next 30 days. Used a code from this page, so hopefully somebody can use mine! Here’s a code from today (Aug. 7, 2014). Enjoy! I’ve been using the 10″ Queen for about a week and I absolutely love it! it’s super comfortable and I sleep like a baby. Here’s the link for $50 off! Loving my new mattress! You really can’t go wrong with the return policy but…who would ever want to return this?? What a great deal! 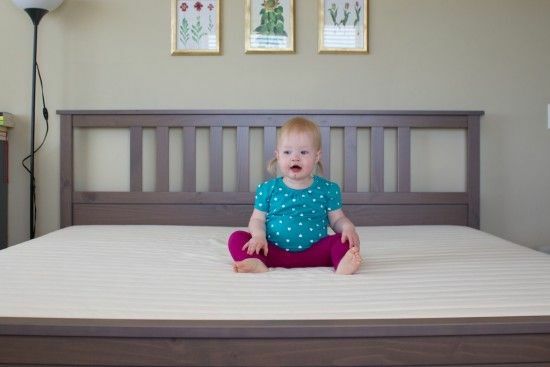 I was able to use a Annie’s discount link and get a twin size mattress for my daughter for only $150 and free shipping. Use this link and get $50 off the order of your mattress! Paying it forward, thanks Casey! LOVE my tuft & needle! Hope someone can use my discount for $50 off! Got mine today using a coupon here – paying it forward! Thanks for the code, Jon. Here is mine for the next person. Just ordered my 10″ Queen – thanks for the coupon code! Here is a link to $50 off + free shipping…. I loved my 5 inch Full bed! Here’s a $50 off discount coupon + free shipping for anyone who needs it! Get a $50 discount off your mattress! Got my code here, might as well share the wealth. Really excited about this mattress! I’ve had the 10″ queen for about 2 weeks now and have had some of the best nights sleeps i’ve had in a very long time. i’m so glad i made this purchase!!! here’s the code for $50 off! What made this a no-brainer for me is their return policy after your 30-day trial. This seemed like it would end up being a bigger hassle than it was worth, so I contacted them to ask how it worked. I was told that generally they look for a charity in your area who will accept the donation of an (almost) new bed. You then provide Tuft and Needle with a copy of the charity donation letter and they issue your refund. What an elegant solution! It ended my wavering because if I don’t like it, someone in need will have a bed (and I can start the dreaded mattress search all over again). I don’t anticipate that happening, but it’s nice to know. I have got the 5 Full for 10 days now, and it is wonderful! Sleep! Im looking forward to my nights now! Heres another $50 off code for your purchase. Thanks! I have got the 5 Full for 15 days now, and it is amazing! Thanks for the previous link! I’d buy this mattress again based solely on customer service. Over the phone and via email, these folks have been nothing but gracious, down to making sure my my mattress is delivered the day I prefer. I agree with all those posted above. What a pleasure to deal with this company. We love our 10″ Queen and just purchased a second for our daughter. Feel free to use this coupon code for $50 off + free shipping (would make my day!)…. I’m so excited. I’ve been sleeping on a futon for about a year now and my neck is KILLING me! Its due to show up next week and I just can’t wait. Here’s another $50 off code, please use! Hoping for the best! $50 link: https://www.tuftandneedle.com/r/zlkyFeLv Thank you! Just used Allesandra’s link to buy my SECOND Tuft And Needle mattress! Save $50 on your mattress by using my discount link! I’ve been researching the T&N 10 mattress for a while, and your experience helped me over the fence! My friend order one a few weeks ago, and he reported that his experience with their customer service was exceptional! Used Sherwin’s code to order ours. Paying it forward! Paying it forward! Keep it chain going. THANKS! Paying it forward…. keep the chain going. $50 off. Just ordered the 10! Thanks for the review! Here’s my link in case anyone needs it! I’m sure what I’m about to say is just a repeated echo for most everyone else… My wife and I spent the crazy$2500 on a S&F PT about 3 years ago. Already we have a 2″ sag in the middle that looks as if someone had left dumbbells on it in a storage facility for a year. Anywho, as of this morning my aching back just put it’s “L5″ down and said enough is enough, can’t do this sh*t anymore. So, to the internet I go in search of new mattress (this damn office chair is next on my list, man alive.) Between the two, I might be in a wheelchair if I don’t take action soon. 10″ King it is! 2-3 days, Mr. Back… Now, chairs…hum? I’m a side sleeper, so I hope this Mattress comes through as it claims. love love love this bed. i want you to love it too! Just ordered the 10″ Queen. Thanks for all the advice and feedback on the mattress everyone! Here is my link in case anyone needs a coupon for $50 off + Shipping. After researching different companies for months, I decided tuft and needle is the best product for the money., I just purchased the 10″. They gave me a code to share for $50 off. Here is a count of those you have posted more than twice. Got my $50 off by using someone’s referral link above, now here is another one! Awesome deal getting $50 off! Thanks for sharing guys! Here’s my link if anyone else needs one. Thank you for the code. Here is mine. I got the 10″ queen a week ago and absolutely love it. It’s super comfortable! Just purchased the 10, oour current bed that we are replacing is 20+ years old and has needed replaced for a while. Saw these and all the positive reviews and had to take the plunge. Please choose my link so it is less I have to pay back on the mattress. Thanks everyone! LOVE this paying forward. I just used Amanda’s code. Now try mine which is still valid! Love love love our new mattress!!! I accidentally posted the code I had used from someone on here, so hopefully she got some more referral credits! This bed is some how firm yet very forgiving! Use the code below for 50 bucks off! T&N are such great mattresses at fair price and good company ethics. Made in USA! Now we own 3 of them. Passing it on: Enjoy $50 off your T&N Mattress! Paying it forward. Here’s a $50 off code for the next person. Here is our link for $50 off a great purchase! Here is a $50 gift code! 50 bucks off any size!! Paying it forward: Here’s my coupon! slept on our tuft and needle bed for the first time last night–OMG!!! I will never own another mattress. The only problem was that I slept so good that I slept past my alarm!! Use this code and you won’t regret it!!! Great review! If anyone is looking for a $50 discount coupon for this amazing mattress – here you go! I’ve had this mattress for 1 month and I promise that it lives up to the hype! With free shipping and a 30 day trial period, there isn’t much risk in trying it if you are looking for a new mattress. This link will save you $50 on an already inexpensive new mattress! Mine arrived and I love it. It was amazing the way it expanded right out of the box. My only comment is that I did not know what time it was going to arrive, and received a phone call that the delivery truck was at my house when I was about 30 minutes away. Otherwise, great service! I received our T & N mattress on Tuesday and the nights of sleep have been wonderful. Here is a fresh code, if you use my code and I am able to get down to where I don’t owe anything on the mattress we will be able replace our bed frame with something a little nicer that is more suited for the bed. My wife and I received our Tuft and Needle Ten this week and I only wish we’d made the change sooner. I’ve been waking up without the tightness in my lower back that had worsened as our spring mattress sagged. It’s a bit firmer than I imagined, but the two of us both seem to be feeling more rested since making the switch. I know many of the codes in this thread are exhausted, so here’s ours for anyone looking for a discount! If anyone’s looking for an active referral code, here you go! We purchased ours and asked for delivery after 5PM. Their customer service team responded immediately with a notification for a FedEx evening delivery, and only took 5 business days to get to the East Coast. Tuft and Needle rocks! Here’s a referral code for $50 off!! Here’s $50 off. Great sleep. Use this link to get $50 off your order. Here’s another code for $50 off! This mattress has changed our lives! We used a code from this site – so we are leaving our code! Here is an active code for you that saves you $50 when placing your order. Use this for $50 off! Thanks everyone so much for the active codes!!!! Here is your $50 if you are looking to buy this mattress. Here’s an active code for $50 off! Can’t even begin to say how much we love the 10″ queen we purchased! I will definitely be purchasing another mattress for the kiddos very soon!! Get $50 off with this referral code. Enjoy! New condo, new bed! Any little bit helps! Get $50 off with this referral code. Enjoy!! Good for $50 off your mattress purchase. Here’s my referral code for $50 off! Enjoy!! Thrilled with my purchase! Use this code for $50 off! So excited to get my new mattress in the mail next week! Use this code for $50 off! Here’s a new active code for $50 off! I just ordered mine. Check out this code if you want to get $50 off yours! Here’s my code for $50 off & free shipping! Here’s a code for $50 off & free shipping! Here’s our code! Use it and enjoy the best night of sleep you’ve ever had!!!! Brand new code $50 code. Yes, it works! Here’s a brand new code we just received ordering our 10” mattress! Use it and get $50 off and free shipping. Join the rest of us finally on the way to getting a good night sleep! Thank you for the code! I really appreciate it! Heres a new code for $50 off and free shipping! Thanks for sharing! I would really appreciate someone using it. One more code… someone please use it! LOVING my Tuft & Needle mattress! Great product and such a fantastic company to work with. Here’s my $50 off code! Use this code for $50 off and free shipping! Enjoy! I really like the bed, it is a great balance for my husband and I. He likes firm to hard beds, and in the past I would end up with shoulder, back, and neck aches from sleeping on his old mattress that was too hard. This really is a firm supportive mattress that is soft and cushioned enough for side sleepers like me! Here’s a new coupon code for $50 off and free shipping! Please feel free to use this coupon code for $50 off and free shipping. Thank you! Here’s an active referral for $50 off & free shipping. We love our new mattress! $50 off and free shipping!! It’s a great mattress! I ordered the 10″ Queen and 5″ Twin. Totally love it! Here is a fresh coupon code for $50 off your purchase! Save yourself 50.00 and sleep better than you’ve ever slept before!!! Spread the word!! Tuft and Needle is here to stay!!! Ordered 2 and LOVE THEM. Save $50 by using this link! This blog helped me get $50 off! Thank you. I have this mattress in my guest bed also, so comfortable. Please use my link for your $50 off any size mattress! Thanks! I just ordered one using a code from Adrian above. If you want to save $50 on your Tuft & Needle mattress, use this link: https://www.tuftandneedle.com/r/3g5e4ksE. Thanks! Just bought one with a code from above. Was great saving $50 and want to share the love. Totally love this mattress! I ordered the 10″ queen and 5″ Twin for my daughter. She loves it! Just got the 5 in a full. So excited! 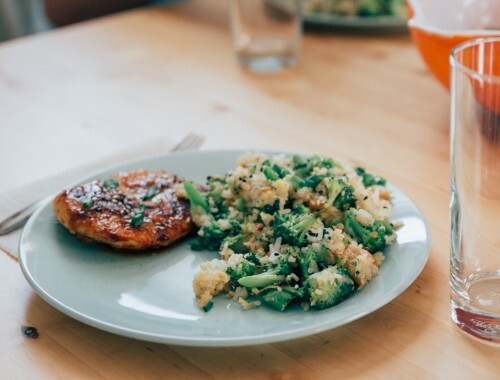 – sharing the $50 off coupon for the next person! We got our bed for my son this week and love it! Get $50 off and free with this code. I’ve had this bed for a week now and its amazing! After 2 months, I can honestly say that this mattress lives up to the hype! I have a bad back for several years, and I can’t remember the last time my back felt this good in the morning. Probably the best sleep I’ve gotten in a long time. I’m thoroughly impressed Tuft & Needle! This review and all of the comments here helped me make my decision. I used someone’s code (I think it was Mike’s, so Thanks!). I had put off making my order because I just moved and wanted to try to time the delivery just right. Well turns out I did not need to do that. They let you choose your delivery date and time frame on the website! Wish I had known that sooner. Hopefully that info will help someone. After seeing all the positive reviews I was a bit skeptical, but after so many nights of sore backs, I figured we would give it a try. Instant relief! We got ours 2 days ago and both of us woke up better rested and without sore backs for the first time in a long time. This mattress was exactly what I was looking for. Here’s my code which will give you $50 off your mattress and free shipping. Enjoy! Take $50 off your purchase with my link below. I have scoliosis and this mattress is so helpful for a great night sleep without pain. Lolol, I’m laughing that the “pay it forward” referral links, posts, and any real comments have ceased after the Ending of the Referral program. Anyhow, I’m thinking of getting this mattress.. is it still working great for you, Joanna, or anyone else? Thanks! They dried up fast, huh. We still love it. 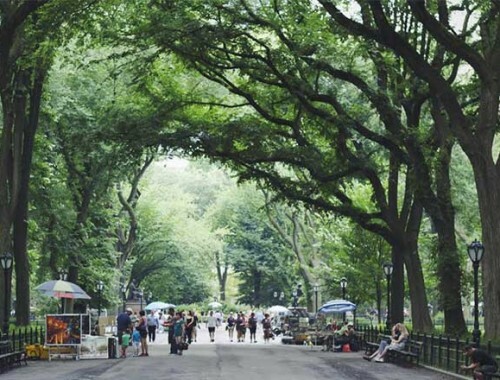 We didn’t think it’d fit our new NYC apartment bedroom and we were super bummed. But luckily, the measurements just barelllly worked out and we’re so glad to have it out here with us. Still big thumbs up from us. I moved my son to Phoenix over the summer and while I was there I saw a story on the news about this local company. Thank God I saw it because I bought one for my son and he LOVES it. They seem to really stand behind their product. I’m getting ready to purchase another one for my daughter!